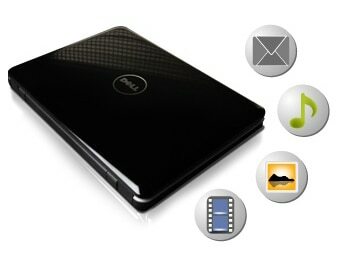 The Inspiron Mini 9 netbook is an ultra small and mobile companion weighing in at a mere 2.28lbs and only 1.07¨ thin that is sure to keep up with your on-the-go lifestyle. 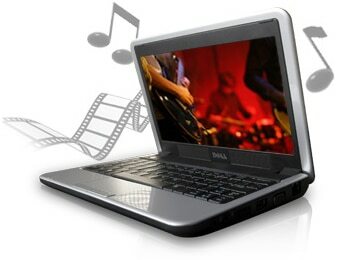 The Inspiron Mini 9 is designed to keep you connected to your favorite entertainment. When you are on the go, you can still have access to email, shopping*, and more. A bright 8.9-inch glossy LED display (1024x600) presents most websites without a lot of left-right scrolling, and the keypads are large and easy to navigate. 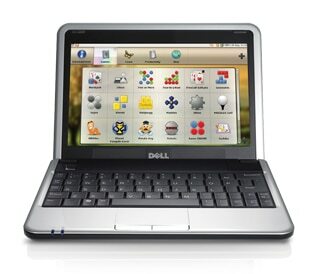 Dell has developed a custom interface for the Inspiron Mini 9 to make it easy to find what you're looking for. Intuitive icons give you access to groups of similar applications and your favorite web links to make them easy to find. Plus, you can customize the interface, putting your favorites front and center.